Jerry B. Gray was born September 21, 1938 in Wichita Falls, Texas to Mamie Lipshy Gray and Samuel Gray. He passed away peacefully at home on July 27, 2018 in Richardson, Texas. He is survived by his wife of 54 years, Marilyn; Son - Neal Gray, wife Rhonda Zeng and granddaughter Allison Gray; Son - Steven Gray and wife Varda. He was preceded in death by his brother Leo Fields. Jerry grew up in Wichita Falls and graduated from Texas Tech University with a degree in Mechanical Engineering. He began his career as civilian employee of the US Army and subsequently worked as a corporate executive for Zale Corporation in Dallas, TX. In 1986, he and his wife started their own company, Gray Graphics, Inc., which they owned and managed for the next 16 years prior to their retirement. In retirement, Jerry was an active Richardson community volunteer with First Richardson Helpers, the Richardson Fire Department, and the Richardson Police Department. 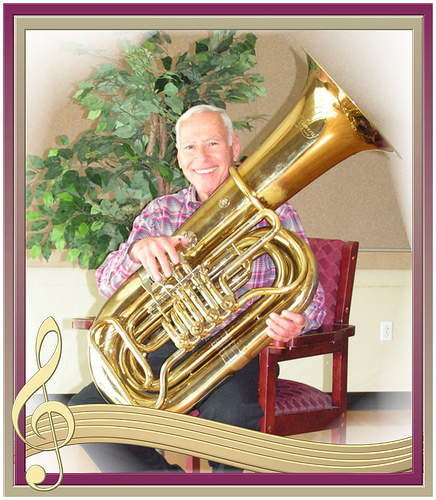 Jerry spent many decades as an active musician playing the Tuba with the Richardson Community Band, the Town North Band, and the New Horizons Band. He enjoyed owning and showing Basset Hounds for many decades and he was a long term member of the Dal-Tex Basset Hound Club. Jerry received great satisfaction in helping his community and individuals who needed support. He will be remembered as a person who could be counted on to be there when help was needed. Jerry and his wife enjoyed traveling the world during their retirement and meeting people of other cultures. He was an member of Temple Shalom in Dallas, Texas and was a past president of the Brotherhood.